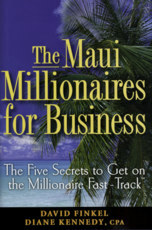 In The Maui Millionaires for Business, Finkel and Kennedy show entrepreneurs and business people how to successfully solve the two greatest wealth challenges they face. 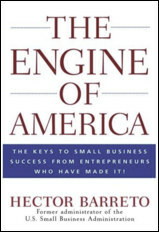 In The Engine of America, Barreto reveals his personal and professional insights, and those of many of America's most innovative entrepreneurs, on why some small businesses succeed while others fail. This book explains how you can join the ranks of successful business owners. 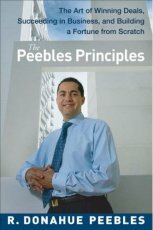 At the tender age of nineteen, Donahue Peebles entered the business jungle with no resources beyond his native smarts, a decent education, and a powerful drive to succeed. Seven years later he became a multimillionaire.